On Wednesday, Google launched Android Beta, a program designed to give developers (and other Android obsessives) a look at what’s next for the world’s most popular mobile operating system. 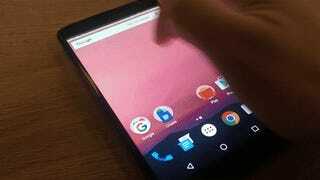 For now, that means people can use the program to try Android N, the newest (and unreleased) version of Android. Although the software is still six month from going public, looking at what Google has cooking is a good way to know what kind of Android lies in waiting. Ever since Material Design was introduced to Android Lollipop in 2014, updates have been just a small series of nips and tucks, making for cleaner, sleeker look, rather than a wholesale redesign. Last year, fingerprint and app permissions were long-standing features that Android had been missing, and with the release of Android N, it looks like Google is going to add a few more. Click on the multitasking icon in the bottom right and up pops the familiar carousel task switcher. You’ll notice that the carousel animations is subtly different on Android N as apps cascade down and up the phone instead of receding into the background. 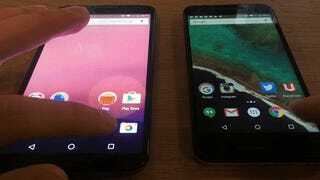 Android N, left, and Android Marshmallow, right. Google apps can currently take advantage of multitasking support as well as some third-party apps (like Twitter and Evernote), but they can be somewhat buggy. Android even warns with a pop-up warning that not all apps work in split screen mode, but that makes sense since app developers are just starting to build for the newest version of Android. 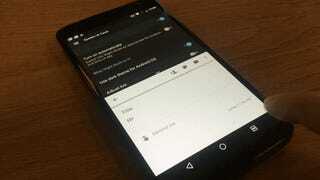 To test the new split screen feature, open up Gmail or Hangouts or any other Google app, and long press on the app card. You’ll notice that you can now control the card. Drag the app to the top of the screen, release, and Android will launch into split screen view. Select a second app from the carousel and voila! You can use the slider between both apps to adjust the size of either window. All these functions also work in landscape mode. You can also dig deep in the System UI Tuner in Settings to enable a swipe up motion that will also launch split screen mode. To each their own. Another cool trick you can use in split screen mode is dragging text between windows. Unfortunately, it was too buggy for me to capture reliably, but here’s video evidence of its existence. Once you’re over the whole two-apps-at-a-time thing, you can press the home button and return to the home screen. However, you’ll see that the multitasking symbol now looks like an equal sign, and your notifications bar is a different color. That means split screen mode is still running in the background. You can press the equal sign to jump back to your two windows or long press the button to exit out completely. The other big cosmetic makeover is in the notifications pane. Most, if not all, notifications now show more important information and also include the ability to reply directly. The cards themselves have also been redesigned with a cleaner design. Android M, left, and Android N. You can also see that the notification menu goes completely across the screen, unlike Android Marshmallow. You’ll also notice that Google has taken a page from Samsung’s playbook and added shortcuts to the very top of the Quick Settings menu. Pulling down the settings pane, you can now edit settings, shortcuts, and long press icons to open advanced settings. However, the icons themselves are also way more useful in the drop down menu. The battery shortcut, for example, brings up battery usage in Quick Settings, so you don’t have to thumb through different settings menus to see what app is nomming away on your battery life. Also, a new feature called Data Saver can cap certain apps data usage if they’re constantly running up your smartphone bill every month. 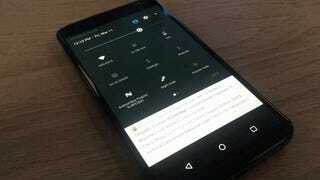 Finally, two smaller additions make their way Android that are also easy on the eyes—like, actually. The first is Night Mode, which works just like F.lux and Apple’s own Night Shift, which is coming to iPhone with iOS 9.3. This is the feature that washes the OS with a red filter that helps block out the harmful blue light assaulting your eyes before bed. [Update] Google has (unfortunately) removed this feature from the final release due to design resources. Along with Night Mode comes Dark Theme, which was originally slated for Android Marshmallow and is making a comeback with Android N. This switches all the black-on-white color schemes to a more eye-pleasing dark gray. We’re not exactly breaking new ground here, but hopefully it’s something that will make its way to the final version of the operating system. These are just the surface features Android is bringing to its operating system. 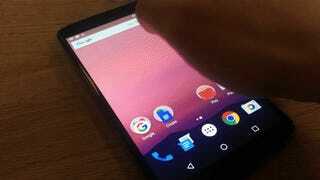 Google says it’s working on a better version of Doze, its battery-saving technology that helps conserve stand-by time when the phone is still. Android N Doze will also work when the screen is turned off, meaning if you’re walking around with your phone in your pocket you can still save on battery life. Other developer-y things included an updated ART compiler, so you don’t have to sit through app “optimization” every single time you boot up your phone. That also means faster app installs. Android N’s also getting a better file manager, system-level call blocking, and new wallpapers! But this is all constantly changing. 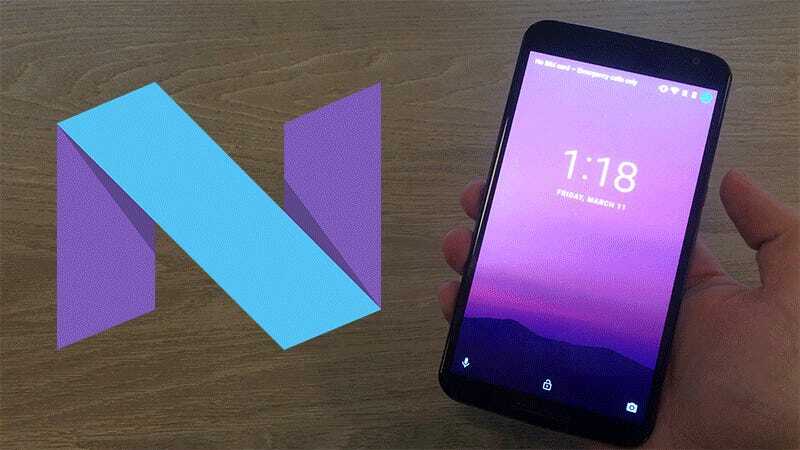 Like several features supposedly “destined” for Android M last year that fell by the way side, many of these features could see the same fate. But the original developer release of Android N is fast, fluid, and not really as buggy as you’d imagine. 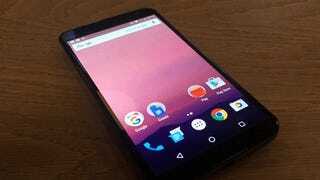 If this is future of Android, the future is looking pretty damn good.